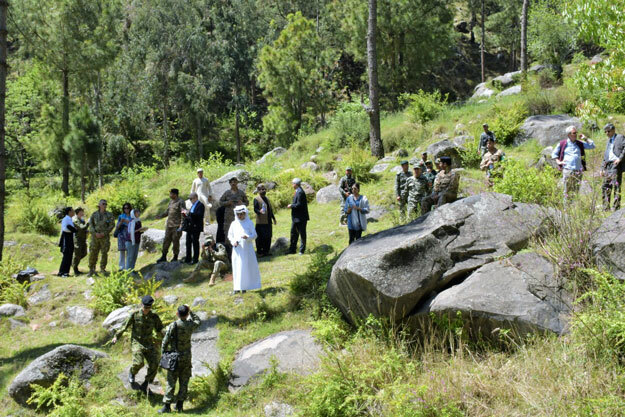 In an effort to further expose Indian lies and fabrications over its February 26 violation of Pakistan airspace, foreign journalists and diplomats were provided rare access to the scene of New Delhi’s aerial intrusion near the Balakot district of Khyber Pakhtunkhwa. Later, the group visited the Army Public School (APS) Swat – a state of the art education facility with computer and science labs, auditorium and sports stadium and Sabaoon [morning light]de-radicalisation Centre in Malakand. Tensions flared up between Pakistan India after a suicide bomber killed 40 Indian paramilitary soldiers in Indian-Occupied Kashmir’s Pulwama district on February 14. An IAF jet violated Pakistan’s air space 12 days later.